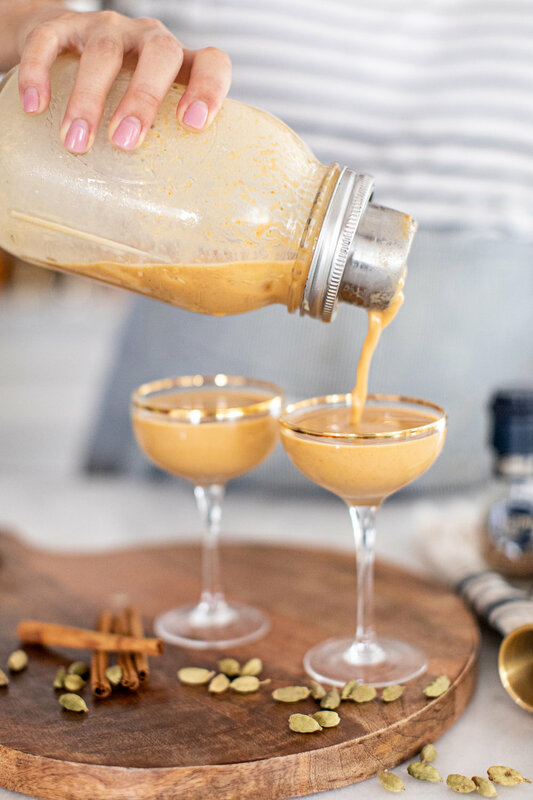 In a martini shaker filled with ice, combine all of the ingredients (pumpkin puree through milk). Shake until combined, smooth and desired consistency. Evenly pour into 2 martini glasses. 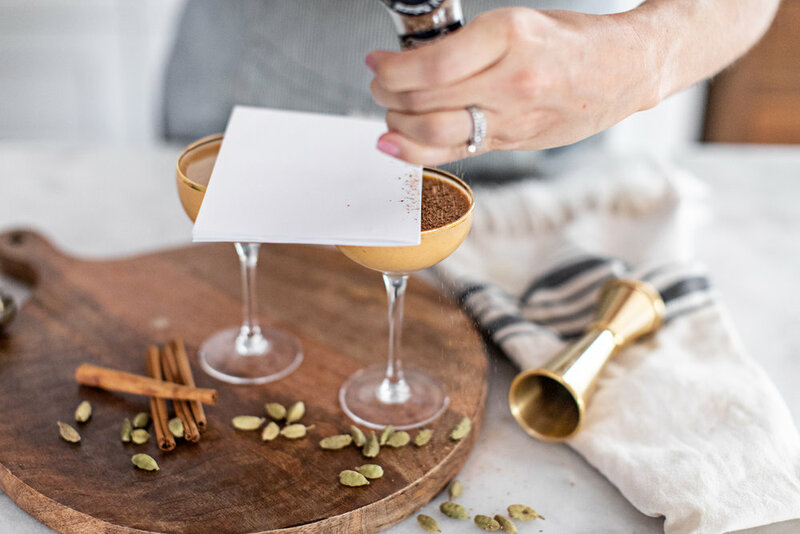 Optional: using a piece of paper, cover 2/3 of the top of the martini glass and garnish with freshly ground nutmeg on the exposed part. Repeat on the 2nd martini glass. Remove the paper, serve and enjoy!